2 1/2" H x 1 1/2" W x 1" D - 3 1/2ozs. 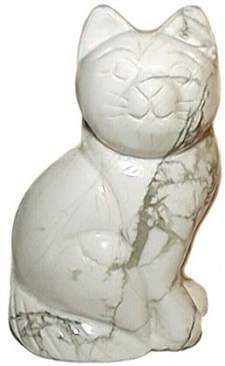 Cat carving in elegant White Howlite. Howlite is usually white with black or grey veining. It encourages healing by calming physically and emotionally. It dispels negativity and spurs ambition toward positive goals.